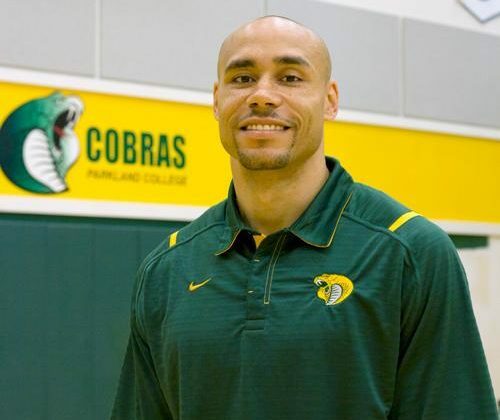 Coach Figueroa is the head coach at Parkland College, a NJCAA Division II program in Champaign, IL. The Cobras are currently 21-4 overall and ranked #4 in the latest NJCAA DII National Polls. Why did you become a coach? I enjoy telling other people what to do! LOL! I think athletics/basketball is a great way to help teach young men some vital life skills. Accountability, Responsibility, Respect, Hard work, Communicating with people from different backgrounds etc… And I just really love the game and wanted to continue to be involved after my playing days. Biggest obstacle you have faced as a coach? That’s a tough question, possibly trying to figure out how to motivate each individual guy you coach, trying to find the right way to reach them on a personal level so they buy-in to what you are saying daily. What does NJCAA basketball mean to you? Opportunity. Guys at our level have an opportunity to prove themselves, also to IMPROVE themselves. Best advice you can give to student-athletes? 3 things: Humble yourself daily, listen to coaching, work as hard as possible at everything you do. Best advice you can give to aspiring basketball coaches? There is typically no quick rise to the top. Work hard, some call it a “grind” I call it work, enjoy it and embrace it. If you could spend one day with a person (past or present) who would it be and why? Honestly, right now I would choose 24 hours with just my wife. A close second would be Barack Obama!